If you have business accounts on social media, you are already engaged in social selling, though you may not be using that term specifically. You already know that “selling” on social media is not directly promoting your product or service. It is meeting consumer demand for a relationship with you. It is letting that consumer know who you are and engaging them in a conversation. The goal is simple and direct – when that consumer is ready to make a purchase, your brand is the first one that comes to mind. How Effective is Social Selling? 75% of B2B buyers use social media to make purchasing decisions. 45% of those who use social media for purchasing either influence, or make the final decisions on a companywide level. The more a brand can engage its followers, the greater the chances of those followers becoming leads and, ultimately, customers. And satisfied customers love to share their experiences with their tribes and make recommendations. During this holiday season, consumers are expected to spend 4.1% more compared to last year with the average amount being $1,007.24 according to National Retail Federation. You naturally want to grab as much of that spending and social selling can be an integral tool to do just that. You have a product or service that will meet needs of certain consumers, either for themselves or for those on their gift-giving list. You have obviously spent time identifying your target audience and you know where they hang out on social media. Step up your game now. It is not just about their needs but about the needs of those for whom they are purchasing gifts. What problems will your product or service solve? What is the value you can provide? How can a gift-giver look like a “hero” to others on his gift list? Shoppers have saved +123% more home decor ideas this year. Goods in the jewelry category were saved 37% more often. Saved ideas in the wellness category have grown 231% year over year! 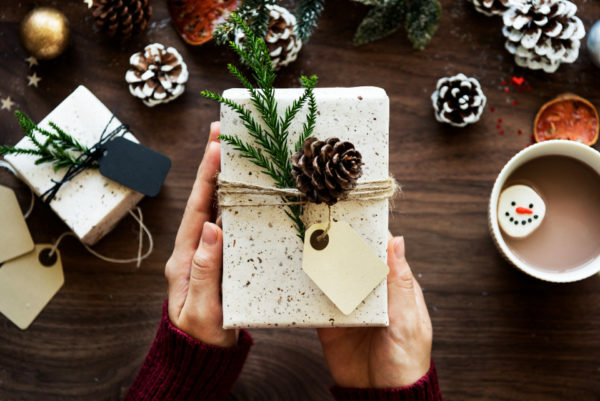 By knowing what’s high on your audience wish lists, you can align your social and content marketing campaigns accordingly, introducing your goods to the prospects at early stages of their buying journey. People love to share their stories, and this is the perfect time to let them. Once you get followers engaged in telling their stories, conversations follow. Everyone wants to get in on the act. It’s all about consumers feeling good about your brand and your reaching out to them at a personal level. Take Airbnb’s Instagram account for example. They are absolute masters of curating their properties with quick story captions, setting the scene for prospective travelers. The comment section is always full of prospects asking the details for this specific property on the platform. That’s how “selling-not-selling” works. Your reputation is critical all the time, but even more so during the holidays. You do not want any customer “trashing” you because of a bad brand experience – late delivery, products-out-of stock and other mishaps that took place during your last year’s holiday madness. And you certainly do not want those reviews to be the first thing prospective buyers will notice on social media or in search results. Rob Sides, vice chairman at Deloitte, writers that this year nearly 23% of shoppers will turn to social media platforms to assist in their holiday shopping process. The majority (74%) will trust peer recommendations on social media, followed by tips from brands (58%) and retailers (48%). So you will need to take a proactive stance on your online reputation during this season. Gear up with social media monitoring tools to track and respond to all the conversations happening around your brand, and in the industry. Remember, that communications on all social media platforms will have to be checked throughout the day, so that you can respond immediately and resolve any issue that arises. Austin Wampler, founder of Vision Smash Marketing Agency, also writes that online reputation management (ORM) is no longer that difficult or expensive, given the technology available today. It’s the prime tool for increasing consumer trust in your brand – an integral element of higher conversions and long-standing loyalty. Research shows that holiday shoppers are looking for deals and specials, and when they follow a brand, they want to see those offers. Some of the most successful social selling campaigns repeat postings of their special deals on a daily basis, so that no matter when a follower arrives, they are front and center. You can also proactively reach out to the budget-wise shoppers, pitching them your special offers and coupon codes. It’s sometimes frustrating for consumers, especially on mobile devices, to have to link over to your website to do their shopping. Put the technology in place for them to shop right from your social media platform. Ease of purchase is a huge motivator. Instagram has Shoppable Posts and recently also added Shoppable Stickers to Stories, enabling users to check and purchase featured product in one quick tap. Buyable Pins from Pinterest have also proven to drive superb results for brands using those. “Consumers come to the platform in a buying state of mind”, the company says. “93% of Pinners use the platform to plan purchases and 87% have made a purchase after seeing a product on Pinterest. Social selling is a combination of several elements. First and foremost, it is the continuation of the relationship-building activities that you engage in all year – just with a holiday flavor this time. Second, it is the authentic explanation of the value that you bring to customers, both for themselves and to those on their gift lists. Third, it is the provision of offers and deals that they just can’t refuse. Diversify your posts to include a good balance of all of these things, and you are likely to see a nice boost in traffic and sales. Biz Tips: Coupons and Consumer Behavior — Why Shoppers Act the Way They Do?